Disclaimer: I have no intention of making you regret buying this so reading on is your choice. The MicroVeiw programmer and the MicroVeiw costs 55$ (Deep breath.....) The entire MicroVeiw inventors kit is only 50$ and it comes with the MicroVeiw+programmer+usb extension cable+wires+Leds+motor+breadboard+servo+sensors......I warned you. It would be really helpful to point out on the product page that the programmer requires a USB extension cable (not a normal USB cable). If I hadn't found one in the bottom of my cable drawer, I probably would be throwing a little tantrum about now. I'm looking forward to lighting this thing up. So this can be programmed though the Arduino IDE? This is actually just the programmer/adapter board that lets you connect your Microview to your computer to program it. But the Microview can be programmed through the Arduino IDE, you will need to download the libraries and board files, but it uses the same microcontroller as the Arduino Uno. Does it include the USB extension as depicted in photo 3? Or is it just the board? It is jut the board as seen in the first 2 pictures. The 3rd picture is more of an action shot showing it working. Can you use a regular FTDI programmer instead? Or does the MicroView REQUIRE you to purchase/use this? An FTDI programmer will just about work. You'll need to add an external 0.1uF capacitor between the FTDI's DTR and the MicroView's reset pin to handle the auto-reset. HI, I received the kit with the microview and usb programmer. Works/looks nice. Question: Can I use the programmer to programm other arduino's without an onboard programmer? Like the pro mini ? And if so, is there a description about how to do so? Yes, it's very easy to use - see http://t.co/rko3nYpKwa. The only caveat is TX and RX. For some reason, I had to connect RX to RX and TX to TX, but that's probably because I used microView pinout schema, not the USB loader schema. The schematic says the only Pins 1 8, 9, 10, 15 are touched on the UView programmer. Is that really true? If I wanted to simulate the same loading, or capacitive effect of the programmer, what would you recommend to make the host circuit act like the uView programmer? 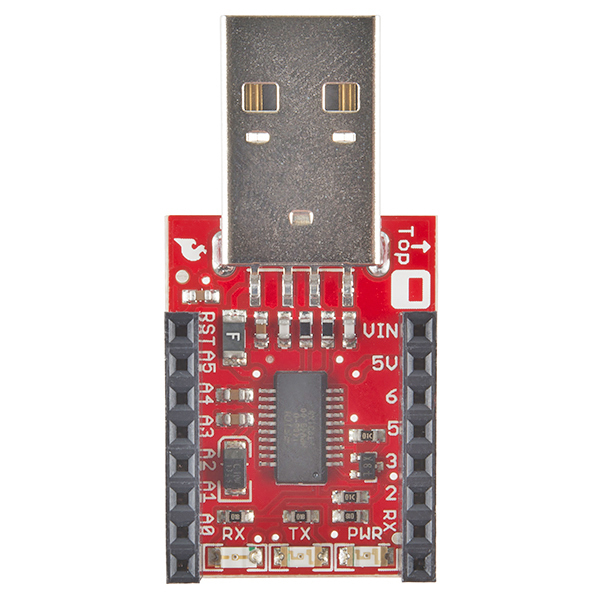 Can I use USB host shield (http://www.circuitsathome.com/products-page/arduino-shields/usb-host-shield-for-arduino-pro-mini) with MicroView? I read from somewhere that since MicroView uses SPI port and the USB host shield needs that, it wouldn't work. Is that true? Is there a workaround? Thanks! What pins are dedicated for MicroView USB Programmer use? I've find I have some odd behaviors when I leave the programmer inserted between the MicroView and the host "shield" (my interface to a couple temp sensors, FET, and piezo-beeper.)... Just beginning to chase this down.. It would be great if a schematic were posted somewhere. Trying to use D2 D3, D4. As its basically an Arduino it uses the hardware serial lines for programming. Otherwise you should be good. I'll get the schematics put up ASAP, and if you are still having problems email techsupport@sparkfun.com and they should be able to help you. Just wondering in relation to recent events. Is the FTDI chip on the programmer board legit? Yes, we actually just posted on the front page an article talking about this. All of our FTDI chips should be legit. I just got my 6 pack with two programmers. With both programmers and two units I get: avrdude: stk500_getsync(): not in sync: resp=0x00 Using Codebender.cc it gives a no response. I did choose Arduino UNO as my Board, is there a certain setting for Programmer? COM ports are active (8 and 9), it appears that the RX led blinks slowly several times but I never see the TX blink. 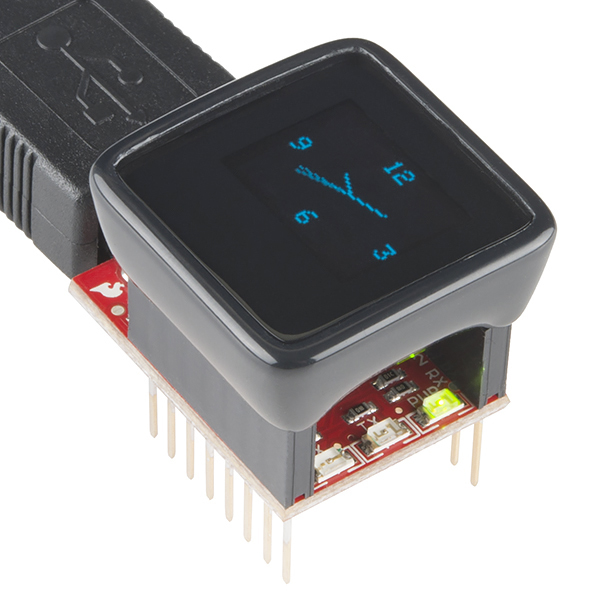 There is a problem with the bootloader on the MicroView, seehttps://www.sparkfun.com/news/1575. Walkthrough to fix the problem at http://makezine.com/2014/08/20/are-you-experiencing-problems-with-your-new-microview/. Hi! Loving the Microview Learner's Kit so far... but, the USB programmer seems to have failed after limited use (computer does not detect, not visible on COM port, yet microview is powered - error duplicated on two PCs). Just wanted to post something so that Sparkfun might detect a defect in their manufacturing, if premature failures are experienced elsewhere. I'd recommend contacting techsupport@sparkfun. They should be able to help you out if this is indeed an error that has occurred previously, and what the steps would be regarding a replacement. I received my learning kit today! But the website that's on the piece of paper in the box is not up yet. Hi Melrik, http://learn.microview.io/ is for general information. http://kit.microview.io/ if you have the Learning kit. This is what I got when I entered the link from the piece of paper. I sort of followed the directions presented but also kind of winged it and I think I got a connection (MS doesn't mesh well with Buffalo Springfield and beersss or Cream...). I also have a few different Arduino installs to deal with variations of Sparkfun/Adafruit/Trinket/etc. who have all different tweaks (I think Linux is more organized!!!). Select the 'Arduino UNO' from the 'Tools->board' menu. Thanks for your comments. I have added board selection in the Getting Started Guide. Cheers. since it is open hardware, where can i see the schematic?.. It looks like we don't have that up yet, but we are still working on the page and finalizing everything. Email techsupport@sparkfun.com and they should be able to get you the current (not necessarily final, but close) schematic. If I'm getting a MicroView thru the Kickstarter program, is the programmer included? From the Kickstarter, the "Microview" Tier includes a MicroView and a Breadboard. The "Starter Kit" tier includes a MicroView, a Programmer, a Breadboard, and a 1.5ft USB Cable extension. What you receive will depend on which of those reward tiers you chose when you backed the Kickstarter. Thank you for doing that, by the way. Neither product would exist if you hadn't. Interesting post , For my two cents if others are searching for a 2009 NY LS 52 , my business saw a fillable version here http://goo.gl/Bs01it. 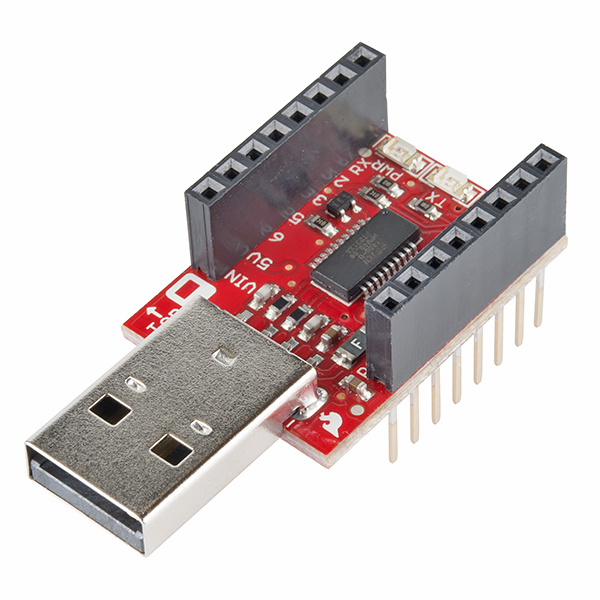 This USB programmer along with a MicroView (DEV-12923) form a complete Arduino programming package for the next step beyond the SIK. Push the long header pins into a breadboard, add a USB extension cable (CAB-00517) and you have an easy to use development system. Works very well with MicroView... can it be used to program other AVRs? Programming the MicroView without this rig was a challenge. This is an easy-to-use programmer and it makes programming a lot more fun. If you are on the fence, my recommendation is to buy one with your MicroView. I'd love to see Ruggeduino-like protection features built into this programmer. It'd allow a learning-safe development environment with the nice MicroView without wasting space and money adding it to the actual MicroView.